Several promotion stills and on-set photos of projects a few of the Harry Potter actors have starred in recently have been released online this past week, including those features with Bonnie Wright, Daniel Radcliffe, and Matthew Lewis. 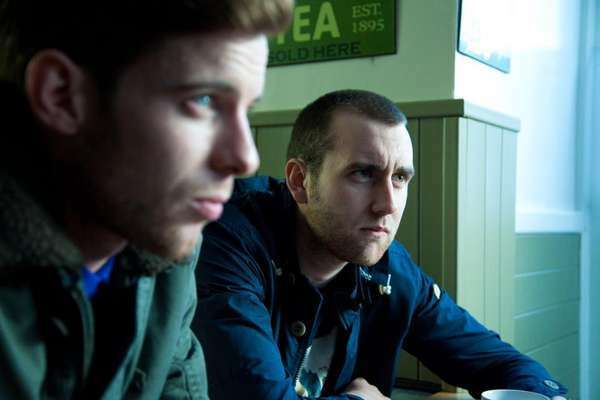 First, the official Facebook page for Matt's upcoming crime drama, Wasteland, also costarring former Harry Potter alum Timothy Spall (Wormtail), was released, featuring the actor and lead Luke Treadaway. The film has no set release date. A second promotional still from Bonnie Wright's psychological thriller, The Philosophers, which is currently in post-production, was released by the film's official Facebook and Twitter. That shot, of Bonnie as character Georgina, and several others on an Indonesian beach, can be seen here. Bonnie's directorial debut, Separate We Come, Separate We Go, will have its world premiere at the 2012 Cannes Film Festival this May. 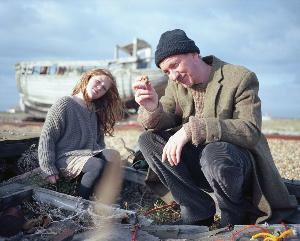 A new still of the film, with Harry Potter actor David Thewlis, in the 11-mimute short feature, is viewable below. A 10 year old girl lives with her single mother in a bleak town in East Sussex. After another of her mothers episodes she leaves to explore her surroundings. She meets an eccentric man who will show her the world differently. 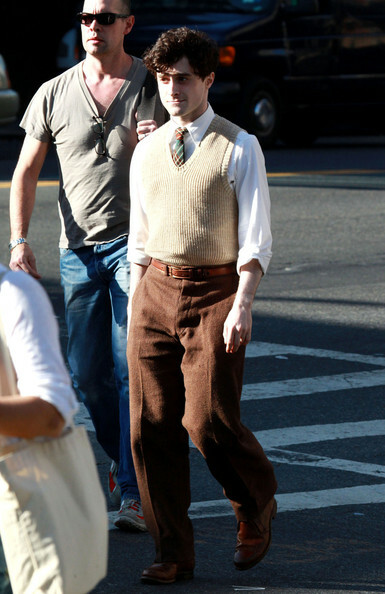 Finally, several on-set shots of Daniel Radcliffe in his current project, Kill Your Darlings, were taken from the Manhattan set this past Tuesday. 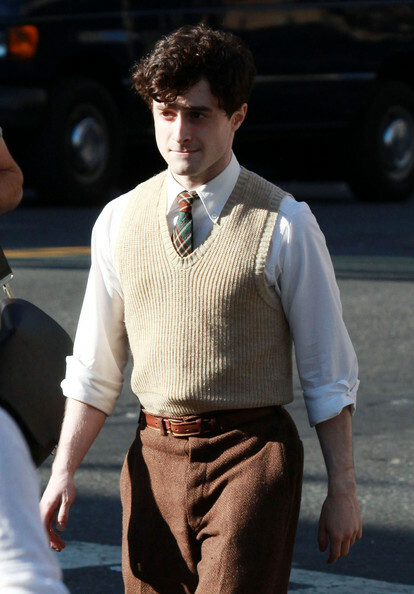 Those shots of Dan dressed as poet Allen Ginsberg, with trademark curls and brown-eyes, can be seen here. The film is set for a 2013 release. Dan's supernatural film, The Woman in Black, is set for a May 22 DVD/BD release in the U.S., and the official Facebook page is currently taking questions to ask the Harry Potter actor regarding his work in the film. To participate, head here; questions will be answered by Dan and posted on the Facebook page beginning May 14, 2012. Dan's supernatural thriller, The Woman in Black can be preordered here in the U.S.: The Woman in Black on DVD | The Woman in Black on Blu-ray and here in the U.K.: The Woman in Black on DVD | The Woman in Black on Blu-ray. I'm so excited for Bonnie's film Separate... And having David in it means that the acting is sure to be fantastic, so that will help! It's still weird to see Dan in curls. Love the still from the film. 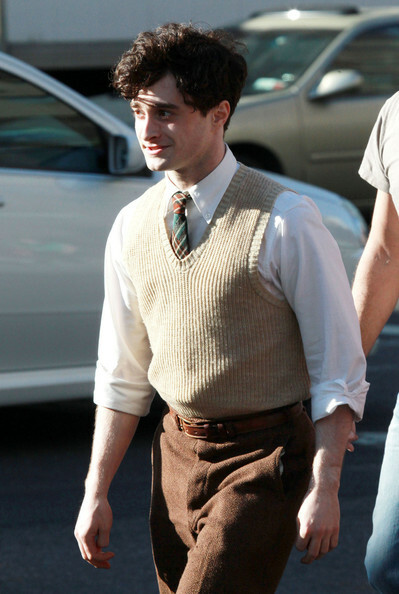 And great to have new pics of Dan on set of Kill Your Darlings. Matt looks like the type of person you wouldn't want to mess around with...but he's so handsome anyways! Not really that interested in Bonnie's projects, but glad to see her branching out a bit. And Dan looks lovely as always. can I just say that the photo of David with the young girl looks so sweet. I am very excited for Bonnie and do hope it is received well! Bonnie looks great in The Philosophers. I am excited. Matt! Wow! I have the sweetest letter ever from Matt!! Bonnie looks amazing in the pic and Dan looks a lot like my old english teacher! I am so happy to see them all doing things <3 yay for them! I'm soo happy for all three of them! Dan and Matt are lookin' good! Dan look cool with his curly hair. Love the picture with Bonnie and Matt looks really good! I'm really excited for all these movies, especially Bonnie's The Philosopher. I have a good feeling about the plot. The film will be released on DVD and Blu-ray on 18 June 2012 in the United Kingdom, and in the United States on 22 May 2012. Still can't get over Dan's hair. And he said he might keep it like that! Nice to see them all working! Glad that things are happening for all post Harry Potter days. Nice to see they are doing something different and it would be interesting to watch. I just realized that Matt shaved his hair. -_-"
Gah...Matt is so pretty. Great photos!